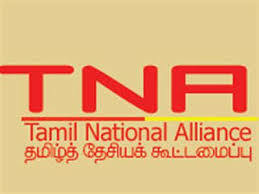 The Tamil National Alliance has raised concerns regarding the proposed Colombo Jaffna expressway, to be constructed with Chinese assistance. “The Sri Lankan government has signed an agreement with China for the construction of an expressway to the North as well as the South. However the problem that we are foreseeing is that the Northern Province, being close to India, approximately 32kms from Thalaimannar, could threaten Indian security. The Sri Lankan government is granting huge contracts to the Chinese. In the guise of various projects anyone can sneak into that area and it will be detrimental to the Indian security. Therefore we don’t want to allow certain external forces to enter the Northern Province and use it for their own agendas,” TNA parliamentarian Suresh Premachandran said. He pointed out that currently the most pressing need of the people in the North is not an expressway, but there are so many other issues that they are facing, after having suffered immensely during the war. “The other issue is that in the North and East there are over 87,000 young war widows. The Sri Lankan government has not formulated any livelihood program for these innocent women, who have lost their husbands during the war, and are forced to take on the burden of sustaining their families. If the government implements a program to assist these women then it will be greatly appreciated. These are the most urgent issues in the North and East and not an expressway. Even those who have been rehabilitated and released have no livelihood program to help them live as independent citizens of this country. The government claims that they will be granted loans to set up their businesses, yet we all know how difficult obtaining a loan can be. These are rehabilitated ex LTTE cadres and how are they going to get guarantors, etc? Therefore the government must come forward and assist these people to get back on their feet,” he said. Premachandran pointed out that currently there is no pressing need for an expressway, as the government reconstructed the A9 road. “The A9 road in my opinion is more than adequate to cater to the requirements of the people in the North, and perhaps in a few more years if required the government could consider constructing this highway. For the time being the A9 road will suffice for at least the next ten to 15 years. It’s not that we are opposed to development of these areas, but we don’t want to invite unnecessary problems to the Northern province,” he explained.